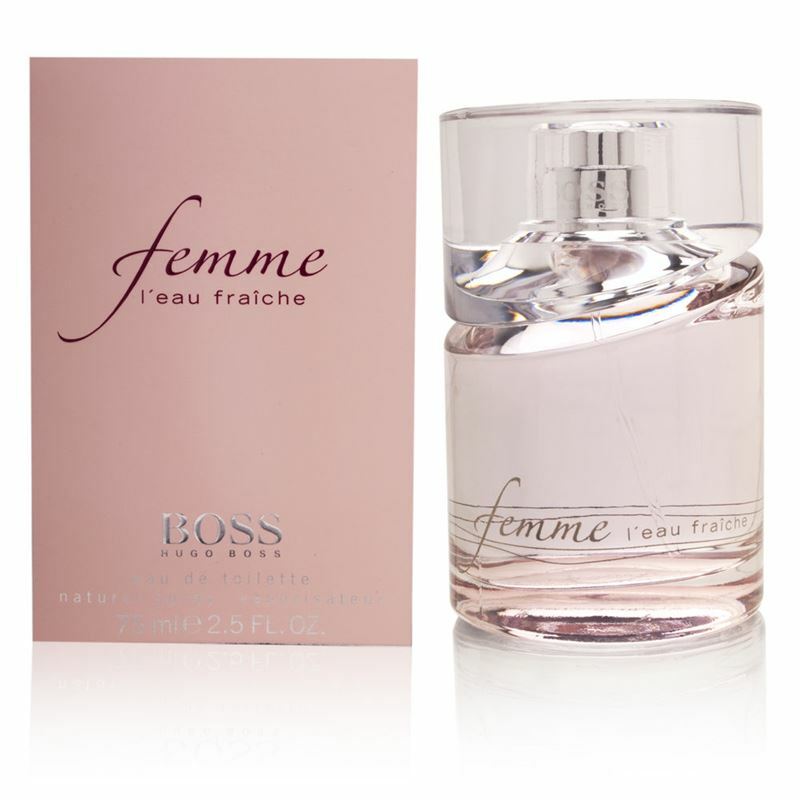 Boss Femme L'Eau Fraiche was launched in 2009 and is a delicate and floral fragrance for women. Boss Femme has several faces and nuances which simply highlight its personality and subtle uniqueness. Boss Femme L'Eau Fraiche announces spring with simplicity and accentuated cleanliness. The fragrance encapsulates the enlightenment of a moment, together with peace, tranquility and relaxation which characterise the Boss woman. Top notes shine with luminous accords of mandarin which is mixed with fresh and fruity notes. A heart introduces the feminine stephanotis flower, where the base notes incorporate creamy and soft amber to the scent.